My Dream Canvas: Thank you and the Weekend! Thank you and the Weekend! Here's a shot from my breakfast nook wishing you a Happy Weekend. I have had old friends and many new friends leave wonderful comments about MDC's third birthday and my Giveaway! Thank you so much for your encouragement and kindness......you are really special to me! 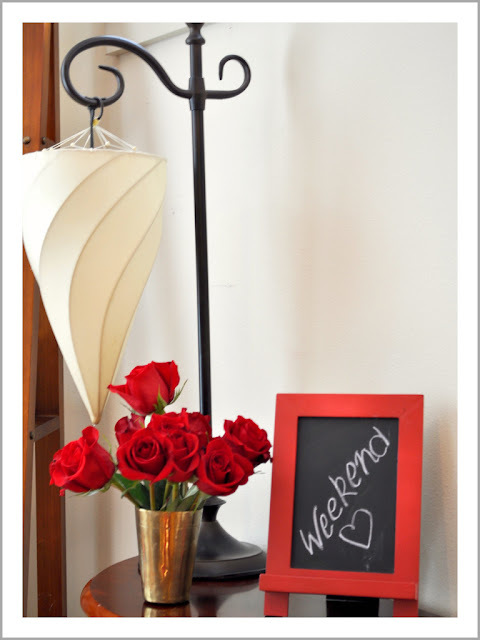 love the lamp...enjoy your weekend ! Beautiful nook...love the red roses in the brass glass.